So you've been asked to produce a report. How do you react? Where do you start? What are they looking for? What will you say? What message will you put across? So much to tell, how will you condense it? What will you use? Where is the information? How will you pull it all together? What are the bear traps to avoid? All this before you even start to consider the information that needs to go into the report!!! And the most common response is "How long can you put this chore off for?" How do you normally get started? Recognise this? First you open Microsoft Word . Then you start typing. You start with a burst of enthusiasm, but soon slow down. You tinker with bits of text, wondering to yourself if it wouldn't look better larger, bolder or in italics. You try a different font, thinking that might make the report look better. You insert a picture, telling yourself it will use up space and make your report look meatier. Before you know it Procrastination sets in. Quickly followed by Frustration, Confusion, Self-Doubt and Utter Dissatisfaction with what you've produced, Plus a desire to completely rewrite the report from scratch. The report takes you a long time to complete and you miss the deadline. You feel so frustrated and de-motivated that you don't write it at all. You write your report, but your approach is totally haphazard and your content is off the mark. You don't like it and they won't like it. 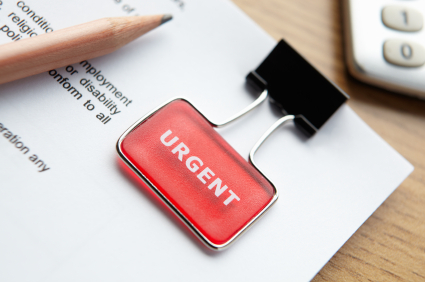 And whether you are writing the report for your course tutor, your boss, or a prospective client, none of the above are going to help your career, are they? For most people report writing is a necessary evil, yet if you adopt some simple actions you can reduce the headache of report writing. You will generate better reports, quicker, with less effort. Here are 14 simple steps that will make report writing much easier for you. Be focused - What is the report to be about? A surprisingly simple question that is often difficult to answer. If you can answer it, you will not only know the objectives you have to achieve, you will be focused and the report will be much easier to write. If you can't - you will fail. Know your target audience - Who wants the report and why? Who will read the report and what are they looking for? What will happen as a result of the report? What are they going to do with the information they are looking for? If you can put yourself in the shoes of the report's intended audience you will know the messages they are looking for and the best way to impart that information. Scope the report - What should the report contain/cover? What should it Not cover? Know the boundaries of your report subject matter. That way you will not waste time researching and writing beyond the scope of the report. You will also be able to identify and address gaps and omissions in the report before it is published. You will also be able to incorporate appropriate disclaimers, caveats and assumptions in the report to manage your audience's expectations. Size the report - How long can the report be? What is expected? Are there limitations on the size of the report (No of words/pages, size of electronic files)? You need to have a good feeling for the size of the report so you can gauge how much information and content you have to gather/collate and the level of detail that you can enter into. Sometimes it's harder to write a short report than a long one because of the need to summarise and decide on what to keep in and what to leave out. Know what you want to say - Look before you leap - applies to a report as well as a wall. What messages are you trying to get over? If your messages are important, be overt with them. Don't leave it to chance that the reader will be able to discern them. Clearly understand these first before you start writing. Your writing must support, explain and emphasis your key messages. Outline your report - Create a blueprint or a basic outline of the report that you wish to generate. Create the skeleton of your report. Think through your message structure. Decide how best to structure your writing to support your key messages and points of view. This allows you to break down the report writing task into manageable tasks whilst keeping you on the right track and maintaining your focus. Gather and collate information - What do you already know? What information already exists? What information is to hand? Align your information to your outline. What information is missing? Are there gaps? What areas do you require to research further? Pull all the relevant information together and understand what it is telling you. Does it support your key messages? Are your assumptions still valid? Decide on style before you start - Are you going to adopt an active or passive writing style? Are you going to use formal or informal language? Is there a standard you have to follow? Make these decisions up front. It is easier to get the format correct from the start rather than having to go through and make amendments to the layout as you go along. Pre write - Although you have broken the report up into manageable chunks it is still important that you think about what you want to say and how it should be structured before you start writing. List down the key messages you wish to get across and brainstorm your thoughts on them. Preferably use single words. Don't worry about grammar and the 'glue' words at this time. Focus on content and structure. Once you have done this you will be clear in your own mind what you want to say and how you want to say it. Writing it then becomes much easier. Capture the reader's interest - You will not be able to control how your readers read your report. Some will skim, some will skip about. You need to capture their interest. Use highlighted paragraph headings, bullet points and break up the report into meaningful, but small chunks, so the reader can identify areas of specific interest. Your outline will help you to do this. Make good use of graphics - A picture paints a thousand words. Make judicious use of graphics (graphs, diagrams, pictures). Not only does it brighten up what may otherwise be acres of boring typeface, graphics can powerfully put over a complex concept/scenarios in a simple and reader friendly way. Repeat your key messages - Tell them what you are about to tell them then remind them of what you've told them. It's a proven fact that people tend to remember more of the first and last things they are told. It is also true that busy people don't have the time to wade their way through screeds of text. So cut to the chase. Provide an Executive Summary at the start and a Conclusion at the end. Check the report - Does the report meet the objectives? Are the key messages clear and supported by the content of the report? Is the report consistent in content and style throughout? Perform a spell check and grammar check. Carefully proof read. Spell checks don't highlight wrong words that are spelt correctly. Bounce the report off of others before releasing it - Avoid the motherhood trap. People find it difficult to be truly critical of their own work. Let someone else look at the report and comment on it. Tell them what the objectives of the report are and who the target audience is and let them get on with it. Discuss their comments with them and understand the reasoning behind the comments. Don't get defensive. Make changes as appropriate then check the report before distributing it. But all the above steps are the rare application of good common sense. Have we just replaced one chore with multiple chores? You haven't been given an answer, you've been given an approach. A proven, excellent approach. It's still down to you. You have to use your intellect to implement these steps. Solution: You can use paper and pencil or your existing software applications. However most software applications focus on excellence in delivery format. The key elements of a report are its content and structure. Have you tried using MindGenius for report writing? How often do we joke or pass comment about "yet another meeting..."
Have you ever wondered how many workplace meetings take place throughout the world in just one day? Yet meetings held for the right reasons, can, and should be, the vehicle for communication, information, motivation, creativity, clarity, agreement, action planning, productivity (to name but a few) as well as the catalyst for real change and momentum for moving forward in any particular aspect of business strategy / objectives. What are the problems with meetings? Whilst there are many well-intended, well-focussed and highly effective meetings, how often have we heard about the "waste of time" or the "useless" meetings? If we accept that the above list is a fair representation of the main issues that prevent meetings being as effective as they should be, we could "flip" these negative statements and convert them into positive opposite statements. With thousands of MindGenius users throughout the world we have proven that mapping each of the above stages provides a highly effective methodology for providing absolute clarity and focus at each and every stage - from thinking through the "why" and "what", to running the meeting, assigning actions, ownership and timescales, through to "finger-on-the-pulse" monitoring and managing actions and objectives through to completion. 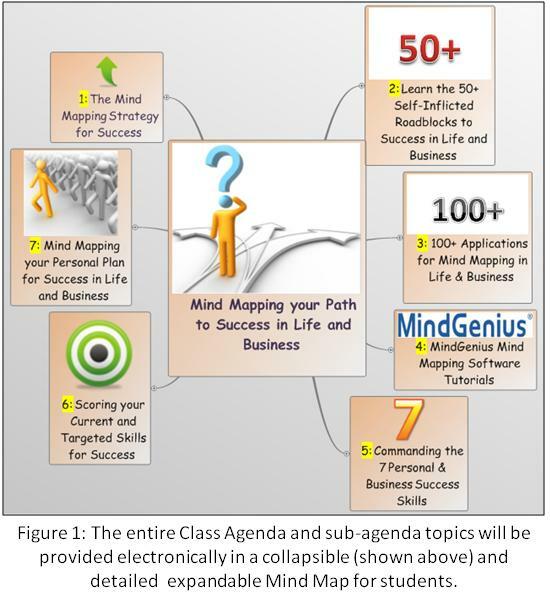 MindGenius Ltd provide an extensive range of tailored training and consultancy solutions for individuals and teams. If you need to improve the way meetings are planned, executed and followed-up the MindGenius way, contact your Account Manager or email info@mindgenius.com and we can discuss your options. David Patrishkoff is a Lean Six Sigma Master Black Belt with highly successful Senior Executive experiences at large multi-national companies. He is currently President of his training and consulting company, E3 Extreme Enterprise Efficiency® LLC, which he founded in 2001. Dave became interested in mind mapping in 1992 and since then has gone on to use it for almost every aspect of his personal and business life. 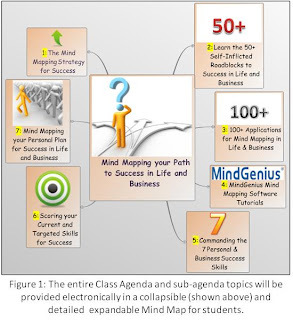 So much so that Dave has recently put together a course to help people create their own Strategy for Success that can apply to personal life, careers and business, most of which is conducted using mind mapping software. His first class will be run from September 23-27, 2013 in Orlando, Florida. Using mind mapping software can help manage information overload, create high speed research reports on any topic and pursue personal, career and business goals with more confidence, skill and competitive-edge. Tree Charts / Mind Maps have been used as far back as 300 AD in the field of philosophy and logic. Since then, they have been used for countless other applications including information displays, family-tree displays, evolution tree charts, organizational charts, brainstorming, root cause analysis, decision trees, fault-tree analysis, vision / policy deployment, logic landscaping, troubleshooting tree diagrams, etc. In the late 1950s, many companies in Japan started using unique tree charting techniques, which they called "Hoshin Kanri" or "Hoshin Planning". This was more than just a simple tree chart; it was a new disciplined management philosophy that drove breakthrough quality improvements, problem solving successes, project planning / tracking excellence and company transformations. Hoshin Planning is one of Japan's 7 designated tools of management. A survey of successful companies there showed that all of them use this Hoshin Planning / Tree Diagram technique. In summary, this tree charting technique was at the center of the most successful quality revolution the world has ever seen, centered in Japan. The phrase "Mind Mapping" was coined in the 1970s as a modern term for logical tree charting. It is a phrase that elicits individuals to graphically map the tiered levels of thoughts, ideas and information hidden in their minds and in the minds of others. Mind Mapping is a technique that can offer profound insights and provide very meaningful and useful results which is why Dave believes it is the right tool to base his course around. To find out more on this course, contact David Patrishkoff. His course summary can be viewed at this link.